This last election cycle, and really every election cycle, kind of demonstrates that there are Christians who are probably not concerned enough about the political process. There are Christians that are kind of appropriately concerned and there are Christians that are overly invested, in the political process. I think one of the greatest guards is to remember that we are those who have a dual citizenship, and our citizenship is in heaven and Christ, and we are in the (Book of) Peter language “pilgrims, and sojourners, and travelers through this barren land, that is not our home. We are to render unto Caesar the things that belong to Caesar, and render to God the things that belong to God.” I think we want to avoid not taking these things seriously on the one hand, but not avoid being over-invested on the other hand. Honestly, Christians in the United States, we don’t live in communism or socialism on the dictatorship, so we do have opportunity to vote. I believe there’s some stewardship with that voting. I do believe we’re voting and participating kind of in a broken system, so I encourage scripture Christians to realize they’re not going to open the scripture and see a candidate space. And they’re not going to open the scripture and see the platform of the Democratic, nor the Republican party. You’re going to have to do some thinking and some engagement, and there’s some contextualization to how you engage in a broken, fallen political system. I don’t mean broken, just in a sense of the United States is categorized by congressional gridlock and all that. I mean broken as in a sense of, our politics is composed of broken people; because all of humanity is fallen. I mean it in that broad sense. There’s no perfect political system. I would encourage Christians to approach it with the appropriate level of consideration. I’m not over-invested. I’m not under-invested. I realize that the mission of the church, and the mission of me as a Christ honoring husband and father, those kind of things don’t change every four years or two years, on election cycle. The great commission is the same. And so, in one sense, the congregation of followers of Christ, they’re doing the same things regardless of what’s going around us with Caesar and other governmental influences. Finally, I would just say, I just don’t think there’s anything in the political process that is worth losing the fellowship of the Body of Christ. In this last election cycle, 2016, I think hurt the unity of the Body of Christ of many Bible believing Christians in the United States, and I think we’ll have consequences for our missiological effectiveness for a good while going forward. That has happened. We can’t undo that, and so let’s just press toward the mark of the high calling of God. We have to avoid being over-invested. 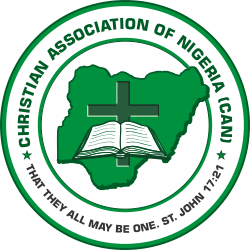 The Christian Association Nigeria (CAN) has called on the Federal Ministry of Education and the Nigerian Educational Research and Development Council to publish the full details of the controversial new Curriculum of Education if they have no hidden agenda. Speaking through its President, Dr. Samson Olasupo A. Ayokunle, the umbrella body of all Christians in the country said it foresaw the danger ahead if the curriculum that merged the Christian Religious Knowledge and Islamic Religious Knowledge with Civic Education is made to stay. It also disclosed some perceived discrimination against Christian students in the curriculum. According to Ayokunle: “…In this curriculum, Islamic and Christian Religious Studies will no longer be studied in schools as subjects on their own but as themes in a civic education. This undermines the sound moral values that these two subjects had imparted in the past to our children which had made us to religiously and ethnically co-exist without any tension. To buttress his point, the CAN President cited a case in Kwara State where a student was punished for refusing to register for Islamic Religious Knowledge. But in a swift reaction, the Federal Ministry of Education debunked the claims that Christian Religious Knowledge had been removed as a subject of study from the secondary school curriculum and Islamic Religious Studies reintroduced. According to the Director of Press, Federal Ministry of Education, Chinenye Ihuoma, the ministry has only designed a new subject which merged Civic Education, IRS, CRK and Social Studies into “Religion and National Values”. According to Ihuoma: “The alternation is not from the minister, this is purely from the National Council on Education. It is just as the council has said that History should be a subject of its own at the basic level in the first nine years. “Now, a new subject has been introduced, called Religion and National Values. It is a fusion of religion and civics. “I have not seen the details but in a case where you have subject combinations in the same period, everyone will attend lectures that correspond with their own religion. In his own reaction, the Executive Secretary of NERDC, Prof. Ismail Junaidu, who also faulted CAN’s position, contradicted the position of the Ministry. According to Junaidu: “NERDC hereby states that: CRK is still taught in schools; as a separate distinct subject with the accompanying Teachers’ Guide. Junaidu said a directive given by the Minister of Education, Malam Adamu Adamu, on the merger. He said: “For the avoidance of doubt, the last review of the curriculum was approved in 2013 and implementation commenced in September, 2014. In both instances, neither the Christian Religious Knowledge nor Islamic Studies was removed from the curriculum. “In fact, at the commencement of the present administration, the Hon. Minister of Education sought and obtained the approval of the National Council on Education to make Christian Religious Knowledge compulsory for all Christians students and Islamic Studies compulsory for their Muslim counterparts. “Efforts are in top gear to print the Christian Religious Knowledge and Islamic Studies Curriculum separately in order to maintain their characteristics and distinctiveness. However, CAN in a statement on Thursday by Pastor Adebayo Oladeji, said: “If the two religions were different subjects in the new curriculum, why did the Minister has to seek the approval of the agency “to make Christian Religious Knowledge compulsory for all Christians students and Islamic Studies compulsory for their Muslim counterparts”? “Again, if the two religious studies are being taught separately, why is the agency stating that “Efforts are in top gear to print the Christian Religious Knowledge and Islamic Studies Curriculum separately in order to maintain their characteristics and distinctiveness. “These statements underscore our position that the subjects were merged before! Do we need to run away from underscoring the importance of these two subjects which focus on teaching the fear of God, love for others and so on at a time like when our nation is facing the challenge of violence and breakup? “If the new curriculum is treating the two religious subjects separately as being claimed, why do we have a satanic topic in the Civic Education like ‘IS JESUS THE SON OF GOD’? Or is the Acting President, Prof Yemi Osinbajo who disclosed to CAN leadership that this was in the curriculum he earlier saw lying too? “The agency claims no student will be forced to register for a religion against his/her wish. “That is not true. In Kwara State, for example, the discriminatory curriculum has begun and Christian students who refused to register for it already had their bodies lacerated with cane! We have the names of the victims and their schools with us, including the text message from the parents of such students who were beaten. “Not only that, in the forth coming Basic Education Certificate Examination (BECE) 2017 TIME TABLE, which runs from Tuesday, 4th July, 2017 to Thursday, 13 Julyin Kwara State, there is no CRK as subject to be sat for. Any reason for this? Instead, on the 13th July, 2017, it has the following; KW/BECE/ 203 Arabic CAIS, KW/BECE/204 IRK JIS; KW/BECE/407 ARABIC JIS and KW/BECE/205 Islamic History. Source:www.kwaraeducation.com. “The chairman of Christian Association of Nigeria in Delta State has also called to complain that students are calling him to say that their teachers are saying that they will no longer be doing CRK as a subject again. Who is deceiving whom? “As far as CAN is concerned, the curriculum is a time-bomb, obnoxious, divisive and ungodly and its implementation must be stopped until all the grey areas are addressed. Like we told the Acting President, it’s introduction is an ill-wind that blows nobody any good for so many reasons. “If we are going to do pilgrimage together as a nation, there must be fair play, mutual respect for one another and justice which can be brought about by different arms of government. We demand for justice from the government on this matter very quickly. “We request for a return to the curriculum we were using before this dangerous one which did not produce insurgents or a wrongly indoctrinated Nigerians. It was the students that came from a school system where morning devotion was removed that are behind the insurgency and kidnappings that are happening now and then. “Those of us who passed through the former system where we all did devotion in the morning and in the afternoon at closing in our schools lived together peacefully irrespective of our religions. The government must stop the operation of this new curriculum. It did not come out of a forward looking research but a backward one. A stitch in time saves nine. “We caution the Federal Government against the use of propaganda in addressing this sensitive issue because the unity of the country is at stake. We are not crying wolves where none exists. CAN then went on to make it demands known to the Federal Government. It said: “The implementation of the curriculum must be suspended till a workshop is organized where all the stakeholders must be well represented. “The Presidency should direct the Federal Ministry of Education to publish the full details of the curriculum on its website to enable everyone know what it contains. “There was nothing wrong with the old curriculum on Christian Religious Studies and Islamic Religious Studies. What people are yearning for is a return to Civic Education and History for obvious reasons as distinct subjects. “That the heads of the parastatals and agencies in the Federal Ministry of Education should be overhauled with a view to balancing the religious dichotomy. A situation where 13 of their heads are Muslims while the remaining four are Christians is an ill-wind that would blow no one any good. “We urge the Presidency to call for a meeting of all stake holders to look at this curriculum line by line and for all of us to own it together before implementation.